First thing you need to do is install and activate the WP Custom Admin Bar plugin. 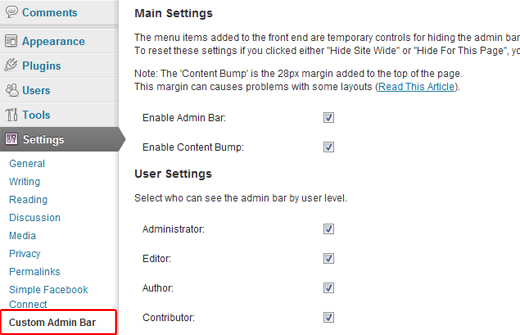 Upon activation, you will notice an extra tab in your settings menu called Custom Admin Bar: Settings » Custom Admin Bar. On this page you can change which users will be able to see the admin bar and which won’t or you can just get rid of it all together. For more advanced users, at the bottom of the settings you also have the ability to add custom CSS styles in order to better control the admin bar’s appearance. 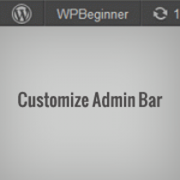 Download WP Custom Admin Bar plugin.